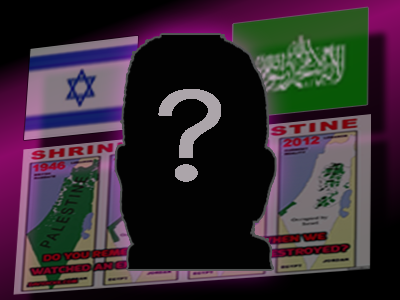 Is the Key Hamas Kidnapping Confession Guy Working With Both Sides? We all heard the "breaking" news weeks following the start of Israeli attacks in Gaza. Those who had been defending Israel needed little proof to state their justification for their defense of Israel in their attacks on Gaza. The reality of the guilt that comes with war had been bearing down heavily on those wishing to defend Israel. Seeing the images all over social media of the dead babies and the destruction in Gaza is never easy. To make things worse for those hoping to defend Israel in this situation, it had been reported by multiple sources including the Israeli newspapers and police, that the three men who were kidnapped and murdered supposedly by Hamas, were not murdered by Hamas. The Israeli police confirmed this account in their investigation. This wouldn't be easy for Israel since the kidnapping of the teens was the primary reason given for the commencement of attacks against the people of Gaza. Furthermore, the Hamas "Human Body Shield" manual was shoddy at best. It was released in unusually low resolution and each letter in the hand printing found on the front of the manual lines up perfectly in a horizontal line without any changes in level (to the smallest pixel) despite the observed folds in the manual itself. Do your own research to confirm. Those more familiar with Photoshop and other image software may understand the improbability of this from a technical point of view and thus the implications. Then came the delayed "evidence" produced by Israel. A leader of Hamas confessed that yes, Hamas NOW admits it was behind the kidnapping and murder of the three teens. His name? Saleh Al-Arouri, he's the Hamas leader who decided to "confess" that Hamas indeed was behind the teen murders. The only problem at the time was that his testimony conflicted with what Israeli police had already determined. That Hamas was not involved. They know the men involved and they confirmed their lack of ties to Hamas. Unfortunately for Al-Arouri and Israel, few have bought into this argument accept those emotionally supporting Israel. Disturbingly, other members of Hamas deny this statement from Al-Arouri and to this day assert that Hamas indeed was not involved in the kidnapping and murder of the teens. The authenticity of Al-Arouri's statements, which came weeks after the attacks on Gaza, is very questionable. He has a long history with Israel, spending 15 years in prison supposedly for actions related to being a member of Hamas (whatever that may be) and then after being exile from Israel he went to Syria where he had been living until the recent conflicts. Now he apparently lives comfortably in a region in (U.S.-Israel super friendly) Turkey. So what is wrong with this picture? A former Hamas prisoner at the hands of Israel, now living comfortably in pro-Israel territory while aiding Israel with information that they hope could get them out of war crimes charges. How convenient. So the question then is: Is this key Hamas confession guy working for both sides? I believe there is no reason to think he is not. We have no reason to believe anything Al-Arouri has stated especially with other members of Hamas denying this account. Oh, that is, except one other sudden voice of Hamas echoing the confession despite all evidence pointing to the contrary. Khaled Mashaal, another Hamas front man with strong ties to Israel spoke out confessing to Hamas' involvement against all other evidence gathered. "We learned about these confessions from the Israeli investigation". What? Israeli investigation? Anyone see anything odd with a Hamas supposed leader stating that his main source of the facts about Hamas' actions is coming from their supposed enemies Israel themselves? Who are they kidding here? Perhaps this goes hand in hand with the wide spread belief and reports that Hamas is a creation of Israel. So why are these supposedly super dangerous "terrorist" leaders with former close ties to Israel allowed to live the good life and move around freely in the Middle east? Why are they living conveniently in pro-Israel anti Hamas territories? Isn't that a bit odd? Apparently, unless you are working for both sides. This is simple logic and reason not a wild conspiracy theory. Al-Arouri, the key Hamas confessor, fits the profile of a double agent to perfection. He has all the characteristics of someone who would have worked out a deal with Israel to release him from prison in exchange for his services to Israel. Sounds very much like a - 'you help us and we'll cover your back, you don't help us and we'll kill you or put you back in prison' situation. For now, we have no reason to believe either Al-Arouri or Mashaal are genuinely who Israel and the western mainstream media would have you think they are. In it's atrocities against Gaza, Israel has pulled all the punches. They have lied, they have murdered, cheated and stolen. They have destroyed families, homes, killed babies, mothers and teens. They have fabricated one lie after another in this ordeal, so it shouldn't surprise anyone that the main source of their new "Hamas confession" claims is once again looking very shoddy. If Hamas is the scary and dangerous terrorist organization that Israel claims it is, their leaders would not be making deals with Israel, helping Israel and certainly not comfortably living in Israel-friendly territories while conveniently traveling all over the middle east, especially when they know that Israel knows who they are and that they are considered terrorists by Israel. They would be in Palestine guiding the leadership of Hamas and working on the next strategy while hiding from Israel as much as possible. They would be working against, not for, Israel as all enemies do. Except those that work for both sides that is. For years Israel has been salivating for war and they have successfully built what many in Gaza call the largest outdoor open prison on the planet. The atrocities continue in Gaza even as we speak. The people of Gaza have held strong, hoping and waiting for something to change. The lies and deceit put out by the Israeli government have all been exposed by everyone it seems, except western CIA controlled mainstream media and Israeli IDF/Mossad controlled media. Can the situation be any clearer? Let us not be fooled by these late breaking claims and "evidence" pieces that seek to conveniently contradict and discredit the initial investigative work and factual accounts. We are now seeing massive propaganda coming from all sides. Whether it's the anti-Russia propaganda being used in Ukraine, the ISIS psyop, or the Gaza war crimes pretext blame game, it's all the same agenda. I've written numerous articles reiterating how important it is to understand that in America (and Israel) propaganda is legal. Remember, politicians and the State Department now have a justification for lying. This explains the rotating White House Deputy Spokespersons taking turns doing conferences, the blatant avoidance of hard questions, the aggressive blame game without having to produce evidence, and the quick resorting to war rhetoric based on these unproven claims. As we drown in propaganda, now is the most important time for everyone to awaken to the plans of the globalist new world order. Take out a pen and paper or write it down on blank sheet if you need to. Make a list of who is on what side. Try to convince yourself of the bigger picture if you are not sure yet. Refuse to believe mainstream media news blindly. Question everything you hear and base your opinions and views on ethics, morality, reason, human rights and common sense. Then take note of those who base their opinions and views on things like flags, symbols, politics, rhetoric, mainstream media propaganda, biases, and ideologies of hate. Notice who condones war, torture, bombings, and aggressions in the name of their country or "intelligence reports" which all seem useless when no one wants to produce evidence for their claims. See their ideologies and then purpose to be different from them. Side with humanity and try to see where the line is drawn between the two groups. In the end, this is about doing what is right. This is about consciousness, humanity, loving one another and helping one another. Make no mistake, the battle of information and the new world order we are in now is a battle against evil. Stay strong, do what is right and let your consciousness and intuition guide you. To win this war of information we must continue exposing the deceptive systems of information that look to pave the road for destruction and murder. Let us continue to make the task as difficult as possible for those who wish to continue killing and destroying. By persevering in this information war, I believe we will eventually give birth to a new norm for confirming information. The measure of truth and evidence will some day (hopefully) be automated. Will computers play a role in this? Who knows. When we finally get there, "evidence" claims like the unproven and highly skeptical Al-Arouri claims will (in the future) be quickly scanned for authenticity, saving humanity from having to deal with the same lies over and over. Yes, we need to imagine that a day is coming when humanity and possibly technology will come together to diagnose and treat the cancer of political propaganda, and future (humanity-threatening) propaganda will actually be exposed to the world for what it is. I believe humanity as a whole has the potential to pull this off. Only time will tell.